In August 2014, the first direct presidential elections took place in Turkey. With a 51,8% of the votes the then Prime Minister Erdoğan won and became the current President of Turkey. On 1 November 2015 ruling AKP won the snap parliamentary elections in a landslide victory, establishing a majority in parliament and a single party rule. The failed coup d’ état on the 15th of July 2016 by a part of Turkish military left at least 290 dead and 1.400 wounded. In response the Turkish government launched a massive backlash operation seriously undermining its human rights commitments, as well as the perspective of joining the EU. On 16 April 2017 a referendum was held on replacing the current parliamentary system by a presidential system, with 51.4 percent of the citizens voting for and 48.6 percent voting against the constitutional changes. The constitutional changes enabled the president to appoint and fire ministers and top state officials, control the budget, issue decrees, and declare emergency rule. Parliamentary elections will be held every five years, instead of four, and at the same time as the presidential elections. Furthermore the office of prime minister will disappear and parliament will lose its right of interpellation. The reforms are expected to be fully implemented in 2018, coinciding with the June 2018 elections. If Erdoğan wins two presidential elections in a row, he could stay in power until 2029. With the changes further steps are set towards a one-man rule autocracy. Want to get notified by mail when Turkey gets updated? Recep Tayyip Erdogan was born on 26 February 1954 in Rize, a small city on the Black Sea coast. When Erdogan was 13, his family moved to Istanbul. He went to an Islamic school and studied business management at the Marmara University of Istanbul. After having finished his studies, Erdogan worked for Istanbul’s transportation authority, until he was sacked for refusing to shave his moustache, on religious grounds. Subsequently, Erdogan entered politics. In 1994 he was elected mayor of Istanbul. At that time he was the leader of the Islamic oriented Welfare Party, which was banned from politics in January 1998 by the highest court of Turkey. This was on the grounds that the party sought to undermine Turkey’s secular basis. Erdogan got indicted on subversion charges and was sentenced to ten months in jail from March 1999. Upon his release from prison, Erdogan was one of the founders of the Justice and Development Party (AKP), in August 2001, and became its leader in 2002. That same year, the AKP won the parliamentary elections and came to power. Because of his previous conviction, Erdogan was banned from serving in any government position. Nonetheless, his party’s parliamentary majority revoked the ban by passing a constitutional amendment. 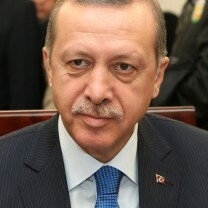 Erdogan became Prime Minister in March 2003, replacing Abdullah Gul. In 2014, Erdogan won the presidential elections and, therefore, became the first directly elected President of Turkey. Since then, Erdogan has moderated his position. In the 2007 parliamentary elections, his position as Prime Minister was consolidated. He experienced an important victory in 2008 when parliament voted to repeal a ban on wearing the headscarf on private or public university campuses. Recep Tayyip Erdogan is married and has two children. Binali Yildirim was born on 20 December 1954 in Refahiye, Turkey. He studied naval architecture and ocean engineering at Istanbul Technical University's School of Maritime. 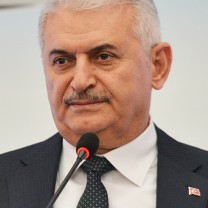 Before being elected to the Parliament in 2002 on behalf of the ruling Justice and Development Party (AKP), Yildirim was the chairman of the board of Directors of Istanbul Fast Ferries Company (İDO) from 1994 to 2000. He served as the Minister of Transport, Maritime and Communication and as a Senior Advisor to Recep Tayyip Erdogan from 2002 to 2016. Since May 2016 Yildirim is the leader of AKP and holding the office of the Turkish Prime Minister. He is considered to be a low-profile politician, faithful to Erdogan and expected to help the latter with establishing an executive presidency. Straddling the continents of Europe and Asia, Turkey's strategically important location has given it major influence in the region - and control over the entrance to the Black Sea. Turkey's progress towards democracy and a market economy was halting in the decades following the death of President Ataturk in 1938. The army saw itself as the guarantor of the constitution, and ousted governments on a number of occasions when it thought they were challenging secular values. Concerns over the potential for conflict between a secular establishment backed by the military and a traditional society deeply rooted in Islam resurfaced with the landslide election victory of the Islamist-based Justice and Development Party (AKP) in 2002. The secularist opposition has on several occasions since then challenged the constitutional right of the AKP to be the party of government. In March 2008 the Constitutional Court narrowly rejected a petition by the chief prosecutor to ban the AKP and 71 of its officials, including at that time President Abdullah Gul and Prime Minister Recep Tayyip Erdogan, for allegedly seeking to establish an Islamic state. Turkey has been closely associated with the European community since the start of the European project. The Ankara agreement of 1959 stated that the ultimate goal was Turkish accession into the community. The country became an EU candidate in 1999. Several substantial reforms were introduced such as the abolishment of the death penalty which contributed to opening the EU accession talks in October 2005. Major hurdles remained however: Cyprus, implementation of reforms and lack of commitment on the Kurdish issue and human rights. The negotiations stalled and between 2005 and 2016 only 16 of the 35 negotiations chapters were opened, while only one was closed. The migration crisis made cooperation between Turkey and the EU harder but unavoidable. In March 2016 Turkey and the EU signed an agreement, according to which Greece can return all new irregular migrants to Turkey. The EU-Turkey deal has been widely criticized for violating EU’s human rights commitments and contradicting its policy of high asylum standards for its neighboring countries. Turkey used the agreement to bargain over the visa liberalisation process and opening of new accession chapters. Kurds are the largest ethnic minority of the Turkey. Since the dawn of the Turkish Republic in 1923 the relation between the government and the Kurds has been tense. During several rebellions in the early twentieth century the conflict deepened. Restrictions were placed on Kurdish nationalism, leading to economic disadvantage and human rights violations. The Kurdistan Workers Party (PKK), the best known and most radical of the Kurdish movements, launched a guerrilla campaign in 1984 for a homeland in the Kurdish heartland in the southeast. Thousands died and hundreds of thousands became refugees in the ensuing conflict with the PKK, which Turkey, the US and the European Union deem a terrorist organization. In the early 21st century several attempts were undertaken to end the hostilities. Peace talks were multiple times shattered by renewed violence. Especially the conflict in Syria became troubling. The Kurdish coalition in Syria became increasingly an target of Ankara. In 2018 Turkey launched a full military invasion against the Kurds in Syria. Allegedly because it was a safe haven for the PKK. A wave of demonstrations and civil unrest in Turkey began on 28 May 2013, initially to contest the urban development plan for Istanbul's Taksim Gezi Park. The protests were sparked by outrage at the violent eviction of a sit-in at the park protesting the plan. Subsequently, supporting protests and strikes took place across Turkey protesting a wide range of concerns, at the core of which were issues of freedom of the press, of expression, assembly, and the government's encroachment on Turkey's secularism. Nonetheless did the protests result in more repressive government control. Concerns over Ankara’s increasing authoritarian stance grew over time. In January 2016 the Turkish Parliament voted in favour of a constitutional reform bill, which includes changing the current parliamentary system to a presidential one. On 15 July 2016, forces loyal to Turkish President Recep Tayyip Erdogan quashed a coup attempt by members of the military that began in the evening and devolved into turmoil and violence. At least 290 died and over 1.400 were wounded. Hours after the attempted coup against him began, President Recep Tayyip Erdogan addressed the nation via FaceTime on CNNTurk. He urged people to take to the streets to stand up to the military faction behind the uprising. Late at night, the Turkish National Intelligence unit said the coup is over and Erdogan declared it was treason. He blamed the coup attempt on rival Fethullah Gulen (leader of Fethullahist Terrorist Organization (FETÖ), a cleric and former ally who lives in exile in Pennsylvania, US. Erdogan repeatedly demanded from the US to arrest or extradite Gulen. More than 40,000 people have been detained and nearly 20,000 have been arrested in response to the failed July 15 coup attempt, 79,900 civil servants were suspended and 5,014 were dismissed, 4,262 institutions. After the coup, under emergency law, the government could easily go ahead with the constitutional changes. A referendum was called on these changes for 2017. The reforms will enable the president to appoint and fire ministers and top state officials, control the budget, issue decrees, and declare emergency rule. Parliamentary elections will be held every five years, instead of four, and at the same time as the presidential elections. Furthermore the office of prime minister will disappear and parliament will lose its right of interpellation. According to the Turkish government the presidential system will bring strong leadership and free the country of unstable coalition governments. Critics however fear that allowing the president to retain ties to his political party will jeopardize the separation of powers and lead to a system without checks and balances. It is common in presidential systems that the president and leader of a political party are two different individuals, in order to avoid overlap between the legislative and executive branches. In the proposed Turkish system however the president will be able to be both leader of a political party and president. In addition critics are concerned that Erdogan is trying to establish a one-man rule. If the reforms are approved, taking effect in 2019, he will be allowed to serve two more terms as president. This could thus keep Erdogan in power for another ten years. On the 16th of April a referendum was held on replacing the current parliamentary system by a presidential system, with 51.4 percent of the citizens voting for and 48.6 percent voting against the constitutional changes. Turnout was reportedly 85 percent. In the three biggest cities - Istanbul, Ankara and Izmir - and in Turkey's mainly Kurdish southeast the majority voted 'no', in many regions in the Anatolian heartland however the 'yes' vote won. The constitutional changes will enable the president to appoint and fire ministers and top state officials, control the budget, issue decrees, and declare emergency rule. Parliamentary elections will be held every five years, instead of four, and at the same time as the presidential elections. Furthermore the office of prime minister will disappear and parliament will lose its right of interpellation. The reforms are expected to be fully implemented in 2019, coinciding with the November 2019 elections. If Erdoğan wins two presidential elections in a row, he could stay in power until 2029. Opponents fear that the changes will lead to a one-man rule and autocracy. On 1 November 2015, snap elections were held in Turkey, after political parties failed to form a coalition after the June general elections. During the elections 8,426 candidates stood on the lists of 16 political parties. The Justice and Development party (AKP) won 49.37% of the votes, gaining 315 seats in parliament. This is a steep rise compared to the June elections, when the AKP won 40.87% of the votes and was unable to establish a single party rule. The Republican People’s Party (CHP) gained 25.41% of the votes, accounting for 133 seats in parliament. This result is almost equal to their election results in June, when they gained 24.95% of the votes. The Nationalist Movement Party (MHP) lost a considerable amount of votes, as they won 11.94% of the votes, compared to 16.29% in the June elections. The People’s Democratic Party (HDP) also saw their votes decline, as they gained 10.68% of the votes, compared to 13.12% in June. The MHP and HDP will have 61 and 41 seats in parliament, respectively. None of the smaller parties gained more than 0.7% of the vote. The turnout was 86%. With these election results the AKP will be able to establish a single party rule, however the party falls short of the “super majority” of 367 that would have enabled the party to push through constitutional amendments on its own; such as president Erdogan’s desire to change to a presidential system. It is unlikely that a coalition will be formed, as the AKP campaigned promising a single party rule in order to provide stability and none of the other three parties in parliament have expressed a desire to form a coalition. The run up to the elections was marked by the Ankara bombing, which led most of the political parties to suspend the campaigning for a period. Mainly the HDP was affected by the bombing, as it was targeted against the party and their supporters. During the campaigning the AKP focused on the economic situation in Turkey and the stability a one party rule would bring. President Erdogan, unlike the June elections, kept mainly out of campaign events. The CHP campaigned with the slogan “Turkey first”, focusing on ending terrorist actions, on the labor system and on education. The MHP was criticized for being “negative” as it said it would not consider working together with the HDP and it withdrew from the negotiations after the June elections. The HDP focused on the Kurdish issue, as well as democracy. According to international election observers from the OSCE the elections “offered voters a variety of choices. The challenging security environment, in particular in the south-east, coupled with a high number of violent incidents, including attacks against party members and campaign staff, as well as on party premises, hindered contestants’ ability to campaign freely.” Furthermore “media freedom remains an area of serious concern and the number of criminal investigations of journalists and the closure of some media outlets, reduced voters’ access to a plurality of views and information.” Overall the OSCE said that “election day was generally peaceful” and ”generally organized in an efficient manner”. The counting process was assessed as “transparent and well organized”. Turkey’s first direct presidential elections took place on 10 August, 2014. For the first time, about 55 million citizens eligible to vote, both within Turkey and abroad, could cast their ballots for either one of the three candidates: Recep Tayyip Erdoğan (Justice and Development Party, AKP), Ekmeleddin İhsanoğlu (Republican People’s Party, CHP and Nationalist Movement Party, MHP) or Selahattin Demirtaş (People’s Democracy Party, HDP). A constitutional referendum in 2010 had given the power to Turkish citizens to vote directly for their head of state. While turnout remained significantly low with less than 75 per cent, the incumbent Prime Minister and leader of the AKP, Recep Tayyip Erdoğan was elected as the first directly elected President of Turkey with a small majority of 51.79 per cent of the votes, and, thus, a second round of voting was avoided. Former General Secretary of the Organisation of Islamic Cooperation, Ekmeleddin İhsanoğlu, came in second, with 38.44 per cent of the votes. The co-leader of the Peoples’ Democratic Party (HDP), Selahattin Demirtaş, came third with 9.76 per cent of the votes. On 28 August Erdoğan became officially the President of Turkey, taking over from Abdullah Gül. On the same day, Ahmet Davutoğlu was elected as the Prime Minister. President Erdoğan received criticism both from his political opposition and international observers for media bias in favor of Erdoğan, corruption accusations, inaccuracy of opinion polls and the misuse of official public resources in Erdoğan’s election campaign. Moreover, critique rose when President Erdoğan went beyond the Turkish Constitution and exceeded the traditional role of Turkish presidents by carrying out not only ceremonial and neutral tasks, but also executive tasks. Nevertheless, on behalf of the European Union the President of the European Commission, José Manuel Barroso, and the European Council President, Herman van Rompuy, congratulated Erdoğan on his victory. Moreover, the European Union hoped to pursue closer relations with Turkey, stressed the need for a solution to the Cyprus dispute and the need for social reconciliation within Turkey. The President of the United States, Barack Obama, also congratulated Erdoğan on this “historical opportunity” and stressed that the United States is prepared to work with Erdoğan and the new Prime Minister in their new roles. Social Democratic Party, Member of the Socialist International and the largest Social Democratic Party in Turkey. The party could be called the heir of Kemalism, loyal to the principles of Atatürk. It grew directly from the first political party in Turkey that bore the same name and was created by Atatürk in 1923. Despite their social democratic name the party has a rather conservative, rightist outlook on political issues. In the last decade leading up to the 21st century, the CHP only became a strong centre-left party after its fusion with the then main left-wing party SHP in February 1995. However, following the general elections of April 1999, CHP - which obtained only 8.7% of the votes, disappeared entirely from parliament for the first time in its history. Many blamed the CHP for not being left wing enough. 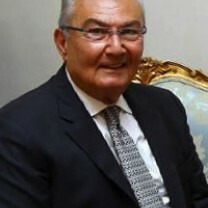 Baykal was seen as responsible for this defeat and he resigned. During the last elections in 2002, Baykal re-gained his seat and was able to get 19.39% of the votes for the CHP. 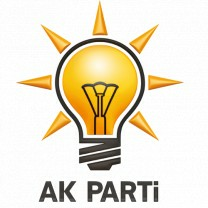 The party became the second biggest party in Turkey and the main opposition party in the Assembly. In the 2002 elections, the party gained 177 representatives in parliament. During the CHP party congress in January 2005 it became clear that within the party large disunity exists. Baykal and his supporters got into a physical fight with their opponents inside the party, and verbally attacked one another during discussions. Baykal got eventually re-elected as party leader, but he achieved this status at a large cost for the CHP. Since the party congress had been shown on national television the popularity of the CHP had sunk dramatically. In the 2007 elections, the party lost tremendously. In an attempt to attract more rightwing and nationalistic voters, the party changed its focus to more rightwing issues in stead of focusing on the classic leftist issues. Shortly after the elections, analysts stated that this shift could have caused the decline in electoral support for the party, just like this was argued after the devastating elections of 1999. Analysts also pointed at the way the electorate have perceived the opposition role of the CHP. The decline in support could be explained by dissatisfaction about their role in opposition. The CHP now holds 112 seats in parliament, but a part of these seats will be occupied by candidates of the other social-democratic party in their alliance: the DSP. In May 2010 Baykal resigned as party leader over a video scandal. 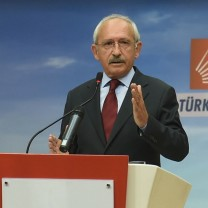 Kemal Kılıçdaroğlu was elected new leader in September 2010 by the party congress. BDP is the Kurdish political party in the Republic of Turkey. BDP succeeded the Democratic Society Party (DTP) in 2008, following the closure of the latter party for its alleged connections with the Kurdistan Workers' Party (PKK). The BDP is co-chaired by Selahattin Demirtaş and Gültan Kışanak. One-third of its representatives are Alevi. Initially, the DTP tried to be the first Turkish party to have collective leadership. After finding out that this form of party leadership was illegal, its leader at the time, Ahmed Türk, became the only party leader. For the 2007 elections, the DTP had an alliance with the independent candidates for parliament. This increased the number of independent candidates in parliament, of which there are also DTP-candidates. At the time of writing it is unclear how much DTP-candidates are among the “independent” candidates. BDP is part of the Socialist International. The Sosyal Demokrat Halkçi Parti (SHP) was created in 1985, and was one of the several parties formed since 1983 that had presented itself as an heir to the CHP. The decision to join the DYP (see below) in a coalition government brought the internal divisions within the SHP to the forefront. Civil rights activists, both Turkish and Kurdish, opposed the SHP's participation in the government because they associated Demirel with government abuses of human rights during the late 1970s and doubted his willingness to terminate martial law in the Kurdish provinces. Consequently eighteen SHP deputies resigned from the party in 1990 and, led by Ahmet Türk, established the People's Labor Party (Halkin Emek Partisi - HEP) as a separate group in the National Assembly, which would later grow out to become DEHAP. Because the HEP emphasized civil rights issues its primary appeal was among Kurds. A majority of the party's executives were Kurdish. Many Turkish leaders, both civilian and military, tended not to distinguish between the HEP, which was committed to working for civil rights within the political process, and the PKK, which aimed to overthrow the political system through armed struggle. When the military initiated proceedings against HEP founders in 1992 for allegedly promoting "separatist propaganda," the HEP deputies accused the SHP of not actively protecting them from official persecution. This affected the public opinion of the SHP negatively, since their cooperation with HEP had supplied them with a progressive, popular image. Consequently the SHP did very poorly in the 1994 municipal council elections--virtually all SHP incumbents in the cities and towns of south-eastern Turkey lost. Gradually the SHP lost its status of third biggest party in Turkey, to become a marginal un-influential leftist party, which needed the support of DEHAP in the local elections of 2004. 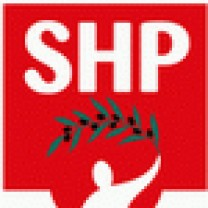 In the 2007 elections, the SHP has an alliance with the CHP, the biggest social-democratic party in the country. Together both parties gained 112 in parliament, a great loss compared to the elections of 2002. It could be stated that the leftist vote was the great loser of the 2007 elections. he AKP is the governing party in Turkey, which is mostly characterized as Islamic and neo-liberal reformist. The Justice and Development Party (AKP) claimed victory in the November 3 elections, paving the way for Turkey’s first single-party government to assume power in more than a decade. The party is very popular among a large part of the population in Turkey, which consists mainly of “urbanised” peasants. This group contains about 35 million people, which are no longer poor but not rich yet, an in-between group looking for power, money and identity. These people are keen on the rhetoric of AKP, because it oscillates between conservatism, fundamentalism and progress. The AKP was founded in 2001 by Mr. Erdogan and Mr. Gül as a splinter party from the Islamic Felicity Party. The AKP surprised all other political parties in Turkey by gradually gaining more votes in each local and general election. They shed their staunchest Islamic viewpoints from their Milli Görü? (see below) period and focussed on cooperation with the EU. In 2002 they became the largest party in parliament, with Abdullah Gül as premier, quickly followed up by Tayyip Erdogan after his political ban was lifted. The AKP claims to be a pro-Western mainstream party with a "conservative" social agenda but also a firm commitment to liberal market economy and European Union membership. In the 2007 elections, the AKP was the big winner, gaining 340 seats in parliament. The AKP was rewarded for the economic prosperity of Turkey and the overall performance of the Turkish government. It is clear that the AKP has received a great mandate from the Turkish electorate to continue their policies, including the accession-talks with the European Union. Part of this party is on the far right of the political spectrum and call themselves ultra-nationalist. They are known as the Grey Wolves, the name of the MHP youth movement. The MHP was founded in 1969 by Alparslan Türkes. Structured as a typically paramilitary organization, MHP was largely responsible for the escalation of violence in the late seventies. The party was dissolved after the 1980 military coup while Türkes and others were accused in the early 80’s of the murder of several public figures. In 1995, Türkes was again allowed to reconstitute the MHP and to take part in the elections, which earned the party 8.5% of the vote. The party leader's funeral in April 1997 drew 300.000 people including politicians of all parties. Türkes was succeeded by Dr. Devlet Bahçeli, in spite by strong opposition inside the party led by Tugrul Türkes, son of the party's founder. MHP became the second Turkish political party after the April 1999 general elections and got 129 seats in the Assembly. Its new leader Bahçeli is drawing a different profile than earlier leaders in the sense that he is willing to cooperate with the EU, and with other political parties. He claims there are only a couple of issues (like the Kurdish status and the death-penalty which he was in favour of) on which the party will not be able to negotiate. During the last elections in 2011, the MHP became (together with the AKP) the big winner and won 13% of the votes (53 seats). In the discussion of the results we already have discussed possible explanations for their great win. Conservative and Islamic, this party has changed names several times, because it repeatedly got banned from the political sphere by secular courts for being too religiously motivated. 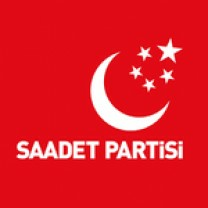 The party was eradicated in 1970 as the National Order Party (MNP) and was reincarnated in 1973 it as the National Salvation Party (MSP), which expressed its ideas in the Milli Görü? (National Vision). In 1983 the party was re-eradicated as the Welfare Party (RP). This party lasted a relatively long time until the government coalition headed by Mr. Erbakan fell apart in 1997 under pressure of the military. The Constitutional Court banned the party in January 1998. Again the party was immediately recreated, this time as the Virtue Party (FP). When the FP was also banned in 2001, Erbekan formed yet another reincarnation, the Felicity Party (SP), but this time the aging politician faced a revolt against his leadership within his own party by a modernist faction of younger Islamic activists, led by Recep Tayyip Erdogan and Abdullah Gül. This "new guard" in the SP had long pushed for a more democratic, decentralized, and transparent party structure. They also objected to Erbakan's anti-Western policies, but encountered stiff opposition on all fronts from Erbakan and his cohorts. While the old guard talked about international Muslim solidarity, Erdogan and his allies were enthusiastic about accelerating Turkey's economic integration with the West. Following Erbakan's political humiliation in the 1999 parliamentary elections when the RP placed itself third behind the Democratic Left Party (DSP) and the Nationalist Action Party (MHP), the reformers broke away and formed the AKP. The SP is now a marginal party in Turkish politics. In the 2007 elections the party won only 2,34 percent of the votes. The party did not enter parliament. Founded in 1983 by Turgut Ozal, ANAP is positioned at the centre right of the political spectrum. The party governed Turkey from 1983 to 1991, formed a brief governmental coalition with the DYP in 1995 and then came back to power on its own in July 1997. It stayed on to November 1998 with Mesut Yilmaz as party leader. As a government party the ANAP transformed the Turkish economy in the eighties, introducing free-market reforms and downsizing the public sector. The governments of the ANAP also applied formally to join the EEC (European Economic Community, today's EU) in 1987. After they had been voted into opposition, the ANAP became a strong criticizer of the Customs Union with the EU. In the April 1999 elections, ANAP was one of the big losers. The party became the fourth largest Turkish party with 14% of the votes. During the elections in 2002, they did not reach the parliament threshold. In 2007, the party tried to merge with the Democratic Party, but both parties failed to reach an agreement. ANAP then decided not to compete in the 2007 parliamentary elections. Founded in 1983 by Suleyman Demirel (although banned from the elections after the coup of 1980 until 1987), the DYP is conservative and draws strong support from the countryside. Despite the fact that its political and economic program is almost identical to ANAP’s, the two parties prefer competition for power to cooperation to form strong coalitions. As a result, this division of the right facilitated the RP’s rise to power in 1995. In the 1991 general elections, the DYP obtained a narrow majority of votes and formed a coalition government with the centre left party SHP. In 1993, Demirel succeeded ?zals President of Turkey and was replaced as head of the party and by Prime Minister Tansu Ciller, the first woman in Turkey to reach prime minister ship. Economic reforms became the cornerstone of the DYP’s policy under her leadership. Membership of NATO and other strategic alliances as well as the application to join the EU were enthusiastically maintained and the Customs Union with the EU agreed on. 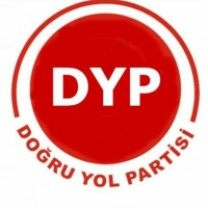 After the April 1999 elections, DYP became the fifth party in Turkey, with 12% of the votes. During the last elections in 2002, they got only 9.55% of the votes. Thanks to some politicians who at the last instant resigned from their political parties and joined DYP, today the party is represented in the Turkish Assembly with 4 members. The Young Party is a populist party, founded by a young businessman Cem Uzan in 2002. Uzan is a member of a family of bankers and media patrons who ran into trouble internationally for unusual economic deals. He started an extremely expensive election campaign, with free concerts and banquets all over the country that were followed by nationalist-populist speeches. The election polls showed him as the 'likeliest third' to cross over the threshold and his speeches were all over his TV and radio stations. During the last elections in November 2002, they miraculously got 7.24% of the votes in only 3 months of political life, but still couldn't go to the parliament because of 10% threshold for seats in the Assembly. In the 2007 elections, the Youth Party gained 3,03 percent of the votes, losing more than half of their share of votes. Again, the party did not make it into parliament. 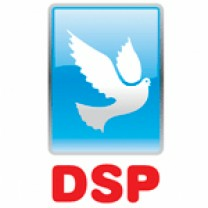 The DSP was founded in 1985 by Rahsan Ecevit, wife of Bülent Ecevit (he had been banned from political life after the military coup of 1980). 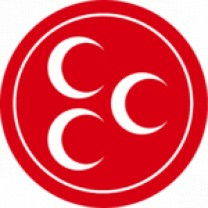 In 1987 the party leadership was taken over by Bülent Ecevit. This centre-left party was a minority party until it won 76 parliamentary seats in the December 1995 general elections. The DSP approves of Turkish membership in NATO and adhesion to the European Union although it criticized the content of the Customs Union. The DSP got a popularity boost when Abdullah Öcalan was captured during a period in which Ecevit was prime minister. The party won 22% of the votes in the general elections of April 1999 and took 136, in the 550-member Turkish Parliament. Bülent Ecevit became prime minister for the fifth time in a row. During the last elections in 2002, they received only 1.21% of the votes and couldn't get into the parliament. Ecevit resigned from politics and the new party leader became Zeki Sezer. 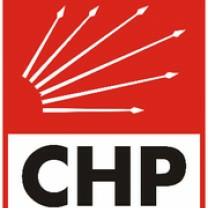 In 2007 the party formed an alliance with the CHP, winning 20,85 percent of the votes. Out of the total of 112 seats, the DSP won 13 seats. Kemal Kilicdaroglu was born on 17 December 1948 in Nazimiye, in the province of Tunceli. He is from Kurdish origin and also has Armenian ancestry. Kilicdaroglu was educated in economics at the Gazi University in Ankara. After having finished university in 1971, Kilicdaroglu served in the Ministry of Finance as a Deputy Accountant and later on as an Accountant. In 1983 he became Deputy Director General of the Revenues Department in the same ministry. Eight years later, in 1991, Kilicdaroglu was appointed Director-General of respectively two social security administrations. He entered politics in 1994, but did not manage to get on the candidate list of the Democratic Left Party (DSP). However, he was invited by the leader of the CHP, Deniz Baykal, to join his party. In 2002 he was elected into parliament as a deputy from Istanbul, to be re-elected in 2007. Kilicdaroglu’s efforts to uncover corruption among the AKP carried him to headlines in the Turkish media. Kilicdaroglu was nominated as candidate for the Mayor of Istanbul for the CHP in the 2009 local elections, gaining 37 percent of the votes. When Deniz Baykal resigned in May 2010, Kilicdaroglu was elected as the leader and breath new life into the party. Kemal Kilicdaroglu is married and has a son and two daughters. Deniz Baykal was born on 20 July 1938 in Antalya. He graduated from the University of Ankara at the Faculty of Law. From then on he studied at the University of California, Berkeley and Columbia University, New York in the United States. He finished his PhD in 1963 in Ankara and worked as an Associate Professor at the University of Ankara. His academic career ended in 1973, when he was elected as a member of the Turkish parliament for the CHP. Subsequently, he served as Minister of Finance, Minister of Energy, Minister of Foreign Affairs and Deputy Prime Minister throughout the 1970s and 1990s. Baykal was elected General Secretary of the CHP in 1988, and became party leader in 1992. He held this post until May 2010, when he resigned over a videotape scandal. Deniz Baykal is married and has two children. Elections in Turkey on Sunday: Can the Opposition End Erdoğan’s Rule?